“We are thrilled to be taking the Rainier Fog tour to Canada and more US cities this April,” says the band. The three-week series - which will begin in Vancouver, BC on April 10 (see dats below) – also includes a handful of US Midwest shows in Minneapolis, MN, Milwaukee, WI and Peoria, IL. Tickets for the new shows will go on sale Friday, February 1 at 10 AM local time via the usual outlets. 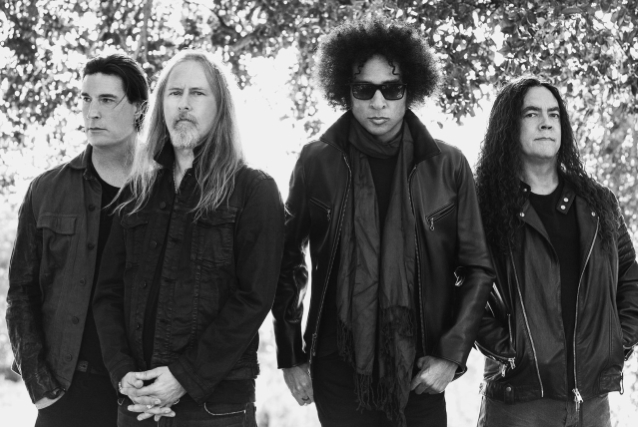 Ahead of the North American run, Alice In Chains will open their 2019 schedule with performances in New Zealand and Australia in March. Recorded with producer Nick Raskulinecz at studios in Seattle, Nashville and Los Angeles, “Rainier Fog” debuted at No. 12 on the US Billboard 200 last fall. The project has been nominated for Best Rock Album honors at the upcoming Grammy Awards in Los Angeles next month. Alice In Chains’ sixth record is a Best Rock Album finalist at the annual event, where it will compete against Fall Out Boy’s “Mania”, ”Prequelle” by Ghost, Greta Van Fleet’s “From The Fires”, and “Pacific Daydream” by Weezer.